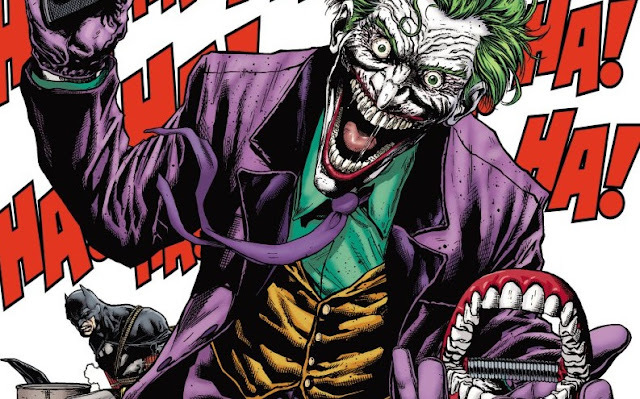 Villains Month has begun and of course the Joker is included. 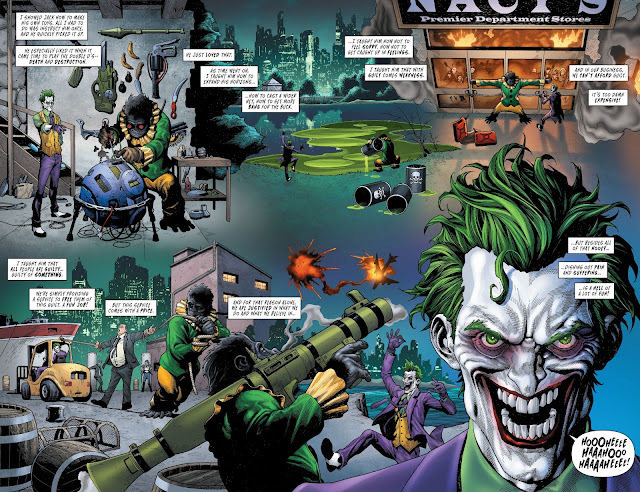 Andy Kubert and Andy Clarke give us a Joker origin story that is neither needed or very good. My main problem is that Kubert tries to make Joker a sympathetic villain. We see his tortured childhood and I'm guessing we are supposed to feel bad for him. Unfortunately, I don't want to feel bad for the Joker. I want Joker to be crazy as all hell and completely unpredictable. I would have liked it better if we found out the Joker had a perfectly fine childhood. Then his actions would really make no sense and that would be awesome. 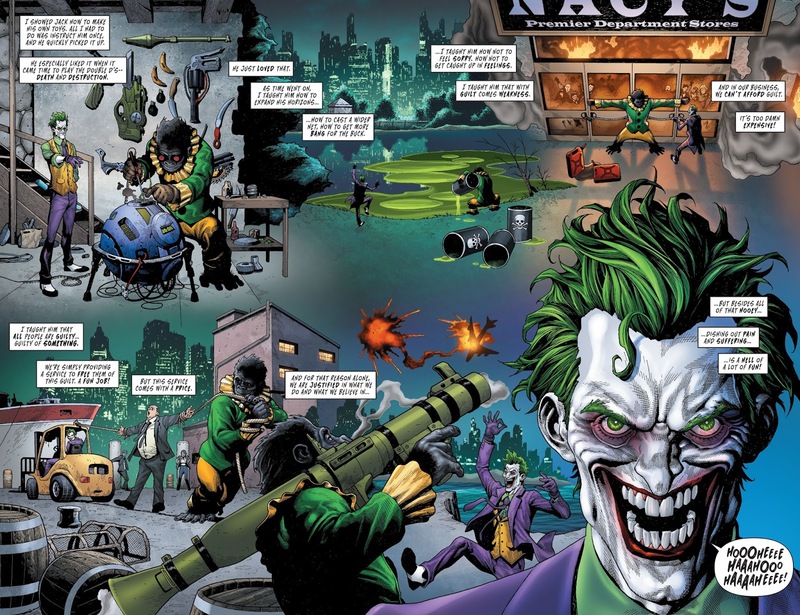 Maybe the story is all a figment of the Joker's crazy mind, but nothing points to that. The only highlight is Jackanapes, Joker's ape son. Yes, the Joker raises an ape to have the childhood he didn't. Michael Jackson and Bubbles eat your hearts out. Andy Clarke's art is okay. Maybe I'm spoiled by Greg Capullo's usual Batman art or I've grown to like the "faceless" Joker, but the Joker here does nothing for me. This issue seems more like a missed opportunity than a must read. Why Andy Kubert tries to make Joker a sympathetic character is beyond me. The story is average and totally unnecessary. Let's hope that the rest of Villains Month rises above the low bar set here.